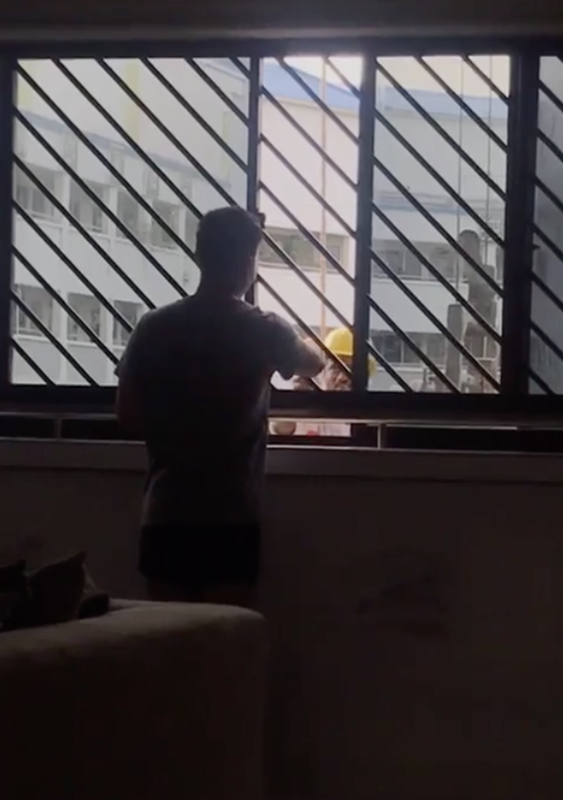 Singapore – In a post that is currently making its rounds in social media, a man could be seen doing a good deed. But he might not have gotten the reaction he wanted from netizens as it seemed staged, and done just for the ‘likes’. 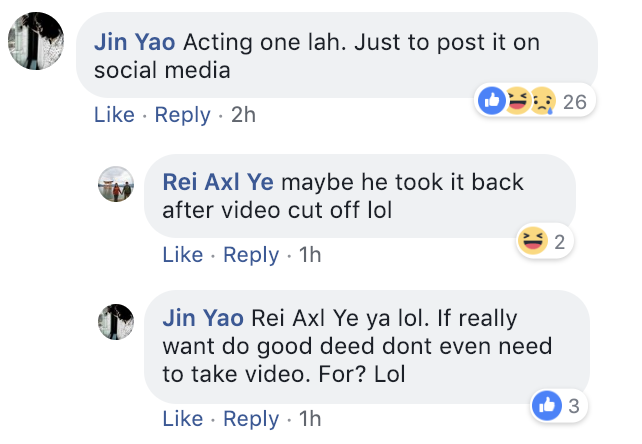 A video of a man giving some cleaning workers a drink as they passed his floor was contributed by Kim to All Singapore Stuff’s Facebook page. The man might have had good intentions but was grilled by the online community. 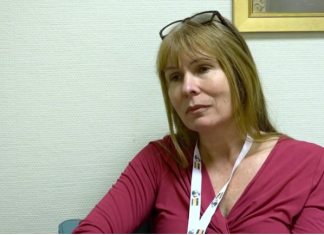 Many believe that good deeds are not meant to be taped and posted on social media because it comes across as staged and only done to seek attention. The fact that there was someone who was clearly not a random passer-by taking a video of the act did not help the cause of the whole thing. 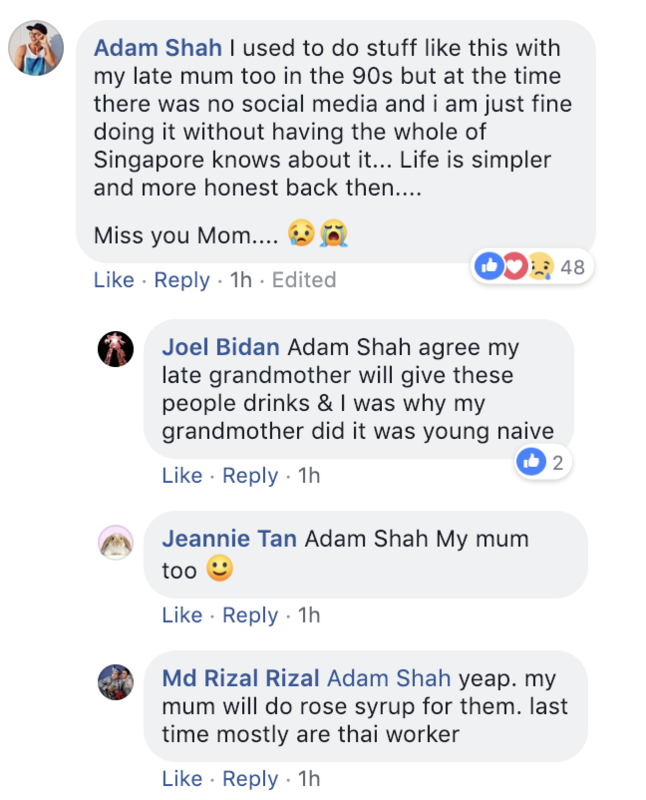 Adam Shah and a few other netizens reminisced about how they did similar things back in the 90s but because there was no social media then, they were ok without “having the whole of Singapore” knowing about it. Life was definitely simpler back then. 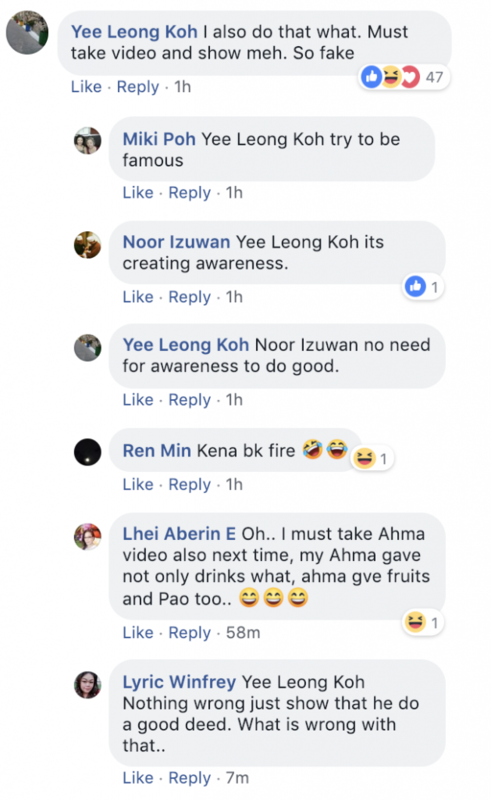 Netizen Yee Leong Koh called the whole thing fake and Miki Poh added that the guy was trying just to be famous. More people were commenting at how the man in the video was acting and if it was really a good deed, why was there a need to take a video of it? Allan Dong made a sound argument by commenting on how good things nowadays must be posted online. It seems that if others don’t know about it, there is no point of doing good deeds. “Nonsense”. 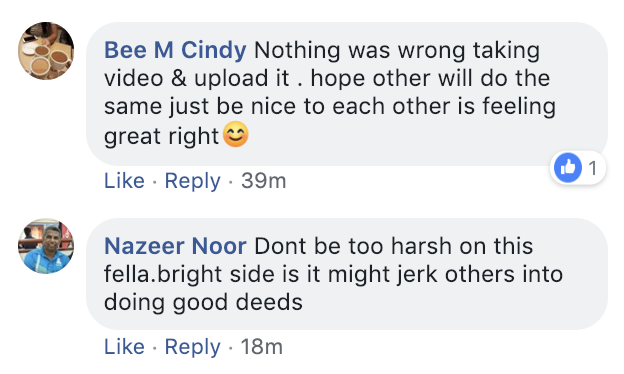 Meanwhile, there were still some positive insights from netizens who said that there was nothing wrong with taking a video of good deeds and uploading it. It creates awareness and could spark similar actions by other people. Either way, it doesn’t change the fact that the workers still felt grateful and appreciated the drink during a long day’s work. A good deed is meant to brighten up another’s day, after all.